The movie that'll have you rolling in the aisles. Cheech and Chong staked their claim as the archetype of the Southern California Stoner in this classic tale of two friends looking for nothing more than a good time. After being accidentally deported to Mexico, the friends search desperately for a way back to the US so they can return in time for their band's first gig. Hapless folks they are, as they agree to drive a van made entirely of marijuana (unbeknownst to them) across the border into California. In the end, their laid-back attitude saves them as they manage to evade capture by the cadre of police officers they didn't even know were chasing them. 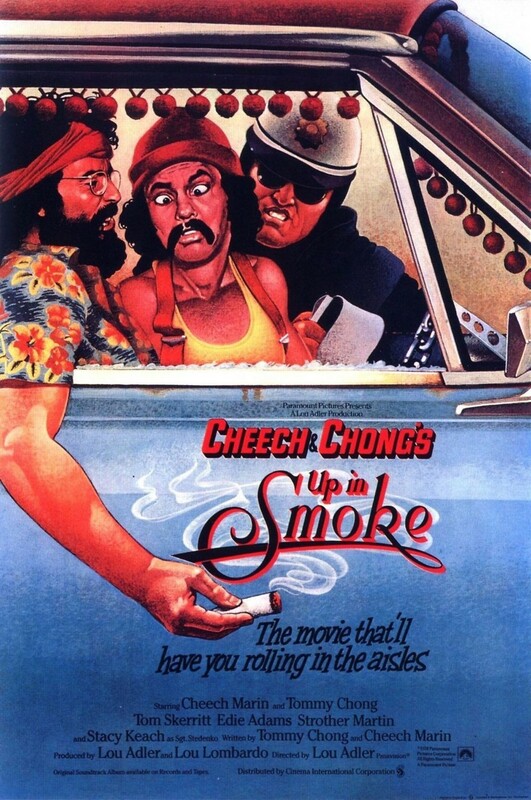 Groviness ensues as Cheech and Chong do what they do best, toke up and make the audience laugh.